Feeling the crunch of the economy? Ask us about our payment plans or talk to us about a barter! GET A 5% DISCOUNT FOR SIGNING UP FOR ANY TWO PROGRAMS IN ONE SESSION!! Please pay only the deposit when using online registration and the discount will be calculated in the office and taken from your balance due. 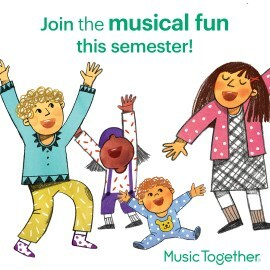 All tuition include all materials to be used during the semester with the exception of Ukulele lessons. All children should bring their own soprano sized ukulele or we have great starter ukes for sale for $50. Please call the office to inquire. NO REFUNDS for missed classes, but makeups are usually available.